Take The Plunge For This Once in a Lifetime Experience… Get up close and personal with one of the ocean’s most majestic and foreboding creatures – The Great White Shark, face to face! The sardine run of South Africa occurs from May through July, when billions of sardine spawn in the cool waters off the Agulhas Bank and then move northward along the east coast of South Africa. Picture tens of thousands of birds plunging from the sky, feeding on the fish, with larger game fish and numerous species of sharks all feasting on the wealth of food that is available. The number and variety of sharks are astounding: Bronze Whalers, Bull Sharks locally called Zambezies, Hammerheads, Coppers and Great Whites can be seen by the hundreds. The Aliwal Shoal is a rocky reef which is the remains of an ancient sand dune approximately 5 km off the coast of KwaZulu-Natal, South Africa. The reef is inhabited by many kinds of hard and soft corals and a variety of tropical and subtropical fish species. Aliwal Shoal has diverse marine life including large predators and is popular as a recreational scuba diving destination. 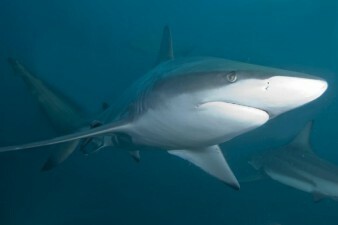 The Shoal is known especially for its abundance of Grey Nurse Sharks (known locally as ragged tooth sharks or “raggies”) between August and November when the sharks congregate there to mate. 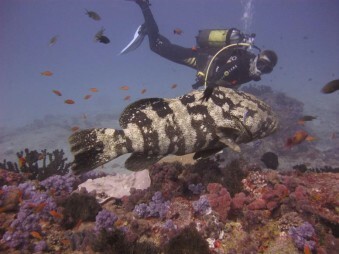 Mention Mozambique and most scuba divers immediately think megafauna. Whale sharks and manta rays prowl the plankton rich water year round and humpback whales pass by on their way through the Mozambique Channel from the Antarctic. Off Praia do Tofo, Inhambane, whale shark alley (a plankton rich current fed corridor) attracts whale sharks all year round. Sightings are almost guaranteed. This alone will put Mozambique on many scuba divers’ bucket lists. Tofo is small little fishing village that has some of the best diving in the world, from encounters with giant mantas to whale sharks to amazing macro life like Sea Moths, Frog Fish and Sea Horses. From June to November you will encounter an amazing Humpback Whale migration. 19 dive sites including Manta Reef keep the divers busy with underwater discoveries. The beach is endless golden sands along the Indian Ocean, inviting to stroll along and laze in one of the beach front restaurants watching the sky turn colors with the sun setting behind you over the bay. Ocean Safaris are very popular for snorkelling with whale sharks, surely the experience of a life time to get so close to these majestic giants. Meet the locals in a vibrant little market that in addition to souvenirs and colorful clothing sells the tastiest prawns one can imagine, freshly caught in adjacent Lake Inhambane. Cook some up in water from the ocean, dip into local piri piri hot sauce or garlic butter and you will never want to leave again. The coastal town of Vilanculos acts as a gateway to Mozambique’s Bazaruto Archipelago – a chain of four main islands: Bazaruto Island, Benguerra Island, Santa Isobel and Santa Carolina. A marine national park covers most of the archipelago, protecting the exquisite marine life in these turquoise seas. 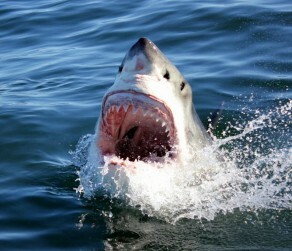 A dive holiday in these islands combines well with a safari to southern Africa. Bazaruto/Benguerra Islands are known as the ‘Pearls of the Indian Ocean’ and are perfect island escapes in the Indian Ocean just off the coast from Vilanculos. San Sebastian Peninsula: This trip takes you south for high energy dives that are for the more experienced diver. The dives are deeper and there can be strong currents but the challenges have their rewards. Here we see bigger and more abundant sea life and since there is not a convenient island to stop by for lunch we do the surface interval on board. The plus side to this is that we have the opportunity to cruise for dolphin, whales, turtle and whale shark while we move to the second dive site. 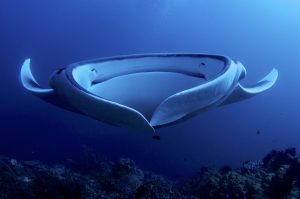 During dives in this area you have a good chance of seeing: manta ray on cleaning stations, big grouper who come close to check you out, curious sharks, turtles feeding or sleeping, schooling fish such as fusilier or bludges, golden king fish, king mackerel and giant reef rays lying in the sand. The most spectacular jewels in Mozambique’s marine crown rest in its Cabo Delgado Province, in the far north. The Quirimbas Archipelago (or ‘Ilhas Quirimbas’ as they’re known in Portuguese) are a beautiful string of islands, often fringed by gorgeous beaches, which lie about 2,500km from Maputo. This is an isolated and remote area. It’s probably the last stretch of East African coastline where the marine environments and beaches are ecologically pristine and largely unexplored. Lying just offshore and stretching for 200km, the Quirimbas Archipelago consists of 12 major islands; about 20 smaller, coralline outcrops; and endless sand-bar beaches. The archipelago has over 350 species of reef fish in its waters, as well as humpback whales, whale sharks, the endangered dugong, and turtles. The Quirimbas National Park protects a large part of the archipelago’s southern side. What started as a trickle of top quality lodge openings has become a steady flow as word spreads of the sheer remote beauty of this spot and the world-class diving on offer. Zanzibar is a jewel of an island in the Indian Ocean, ringed by fine, white sandy beaches and turquoise waters ideal for watersports. Scuba diving is spectacular with marvelous marine life and beautiful coral formations. Beware that only on the northern tip of the island will you be able to swim from the beach even at low tide. Please check out our sample itineraries in the Safaris&Tours section. Check out our package here.